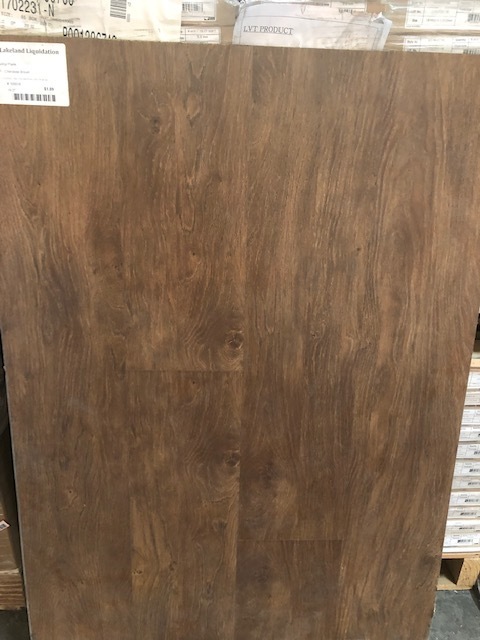 Luxury Vinyl Plank in Cherokee Brown. Locking and floating vinyl plank flooring. There is 19.27 sf per box. This is a closeout, limited quantity deal.